From fiction to non-fiction to young adult books and more! (SPOT.ph) Sad about missing out on all the book sales that just passed? 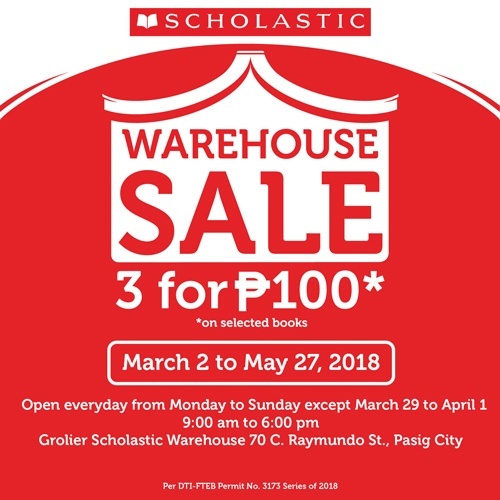 You still have a chance to shop new books to add to your shelf—and we're pretty sure you wouldn't want to miss it: Scholastic is having a Warehouse Sale happening every day until May 27 (except March 29 to April 1), from 9 a.m. to 6 p.m., at the Grolier Scholastic Warehouse, 70 C. Raymundo Street, Pasig City. 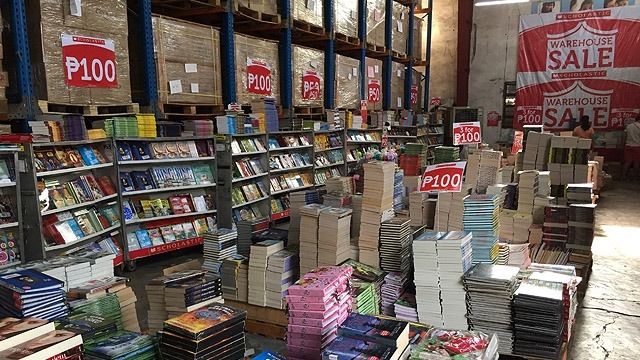 You can shop books from different genres like fiction and non-fiction books, classics, young adult books, popular series, picture books, board books, and arts and crafts for as low as P50. They even have a three-for-P100 promo on select titles! Oh, did we mention you might even win a Harry Potter Hardbound Chest Box or a set of the Hunger Games trilogy books? All you have to do is spend at least P500 at the Warehouse Sale to join the raffle. Crossing our fingers we win something! For more information, log on to Scholastic Asia's Facebook page.